Launched last year, this is the first time a Tata Nexon taxi has been spotted in India. Hat tip to Mr Bobby for sharing the image. Tata Nexon shot to immediate success in India ever since it was launched last year in September. 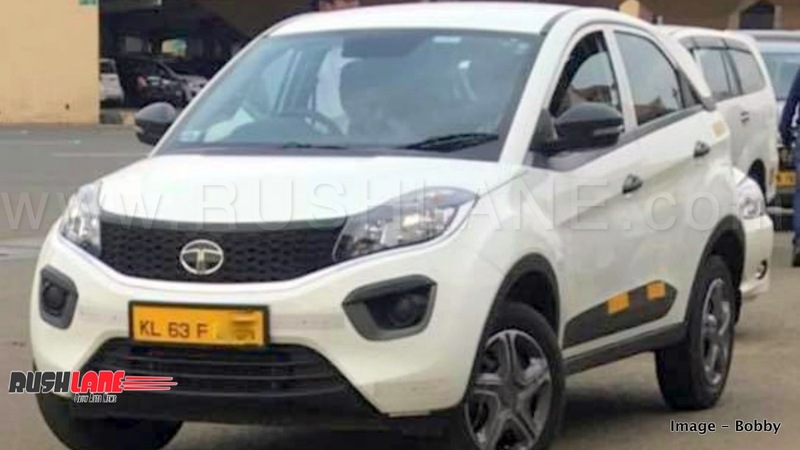 After 1 year of sales in the passenger segment, the first Tata Nexon with yellow number plate has been spotted outside Kochi Airport in Kerala. The white coloured Tata Nexon you see in the images below, is powered by a 1.5 liter diesel engine. As per the Kerala RTO data, the car was registered in July this year. It has a taxi license valid till the year 2033. Because it is being used as a taxi, the RTO has registered the car under the Transport category. The Tata Nexon taxi you see above was sold by Tata Motors official dealer – Hyson Auto Sales. It has been registered at the SRTO, Angamali. Based on the XM variant, the Nexon Taxi does not get fog lights, projector headlamps, body coloured door handles or ORVMs, antenna, alloys, etc. It gets steel wheels with covers, power windows, AC, music system, seating capacity for 5, airbags, ABS with EBD, etc. 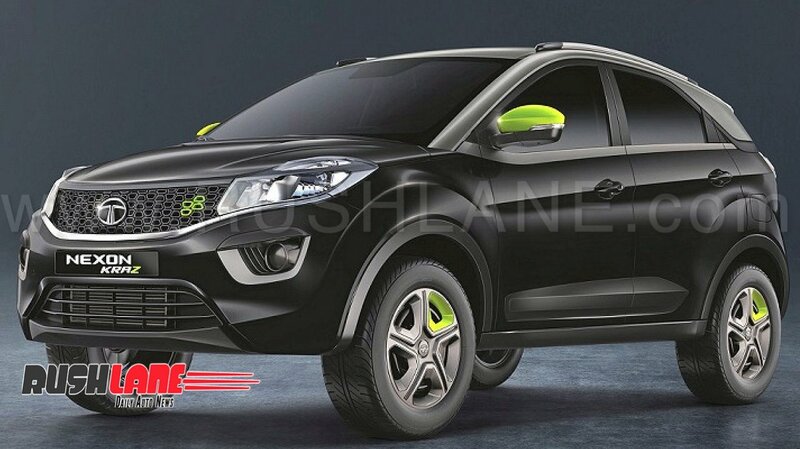 Speaking about the Nexon in general, it is priced between Rs 6.16 and Rs 10.59 lakhs. It is powered by a 1.2 liter turbocharged petrol engine and 1.5 liter turbocharged diesel engine with both engines mated to 6 speed manual or 6 speed AMT. Standard colors include Etna Orange, Vermont Red, Moroccan Blue, Seattle Silver, Glasgow Grey and Calgary White while the top end XZ and XZ+ variants are seen in roof colors of Sonic Silver and Ivory White. For customers in India, Tata Motors recently launched a new limited Edition Nexon called Kraz and Kraz+. This new edition comes in an all new colour with neon accents – giving the car an even younger than it currently has. It can be seen in the image above. Apart from India, Tata Nexon is also being launched in many other countries. Just recently Tata launched Nexon in Sri Lanka, Nepal and Bangladesh. ALl countries get made-in-India Nexon as CBU units. With doors now opened to the taxi segment, Tata Motors can hope for added sales this Diwali 2018.